Park Hotel Villa Ariston is a beautiful fourteenth-century estate set in over 2 hectares of private parkland and an ideal place to spend a relaxing, peaceful holiday in Versilia, but also for a business stay. Our lush park has a large outdoor swimming pool, a hydro-massage pool, a vast play area for children, two rammed earth tennis courts and two gyms equipped with modern Technogym equipment. 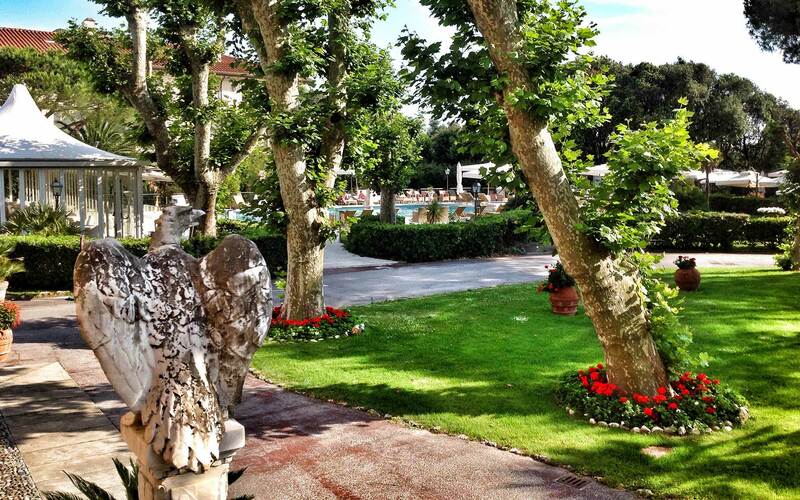 The best services allowing us to offer you a truly unforgettable holiday in Versilia. Villa Ariston’s park is the perfect location for hosting outdoor events and ceremonies: in the shade of majestic, monumental plane trees, fragrant lime trees and centuries-old pine trees, you can organize meetings, gatherings, parties or fairy-tale weddings, in a truly refined environment that only Villa Ariston’s timeless charm can give you. Villa Ariston is the ideal hotel for a family holiday in Versilia. Our hotel will satisfy all the needs of adults and children alike and has a large fun and recreation area dedicated to children. Guests staying at Park Hotel Villa Ariston can use the hotel’s exclusive beach establishment, ideal for enjoying a holiday in total relaxation. In the shade of majestic centuries-old trees, you can relax in our large outdoor swimming pool and let yourself be pampered in the Jacuzzi, for a truly exclusive holiday in Versilia. Relaxation and well-being for the body and the mind.